Michael Jordan may have lost home-court for the 2017 NBA All-Star Game, but he’s still bringing heat. 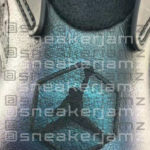 The Jordan All-Star Release will feature the iconic Retro VI in a color changing “cloak” or “chameleon” upper. Production pairs are already in the wild and SKU is already loaded in some retail sites. 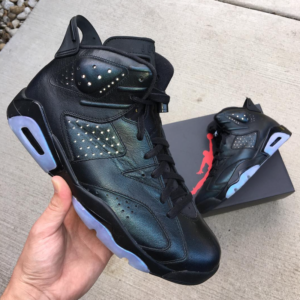 The 3M ventilation on the upper is similar to 2014’s Infrared release. 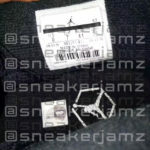 The heel and insole branding will feature a jump man in an octagon. 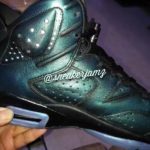 The increased price should indicate premium leather and craftsmanship, but with Jordan, sometimes you pay for hype.